Different strains of porcine reproductive and respiratory syndrome virus (PRRSV) have emerged and circulated in different regions of mainland China since 1996, particularly after 2006. In 2012, NADC30-like PRRSV was first isolated in Henan Province. By 2016, it had spread to most provinces in China. In the present study, the whole genomes (excluding the poly(A) tails) of 13 newly emerged NADC30-like PRRSV strains were sequenced and analyzed. 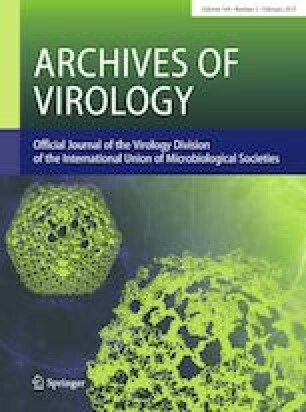 Furthermore, the pathogenicity of SD53-1603, one of the 13 PRRSV strains, was assessed. Phylogenetic analysis showed that these 13 newly emerged NADC30-like PRRSV strains, together with some reference strains, formed a new subgroup (subgroup 5), characterized by a predicted 131-amino-acid deletion in the nonstructural protein (NSP) 2. However, low levels of whole-genome similarity and a wide variety of recombination patterns complicated the classification of the NADC30-like PRRSV isolates. Interestingly, almost all of the recombination breakpoints found in these 13 PRRSV isolates and other NADC30-like PRRSV isolates occurred in genes encoding NSPs and/or minor structural proteins. In addition, piglets infected with the newly emerged NADC30-like strain SD53-1603 displayed clear clinical respiratory symptoms and underwent typical pathological changes. The findings may be useful for elucidating the characteristics and epidemic status of NADC30-like PRRSV in China. This work was funded by the National Key R&D Program (2016YFD0500100), the National Natural Science Foundation of China (Nos. 31502097 and 31371381) and the Scientific and Technological Project of Henan Province (182102110240 and 182102110084). This study was approved by the Animal Ethics Committee of the School of Harbin Veterinary Research Institute of the Chinese Academy of Agricultural Sciences and was performed in accordance with animal ethics guidelines and approved protocols. The Animal Ethics Committee Approval Number was SYXK (Hei) 2011022.